£595 NO OFFERS NO SWAPS!!! 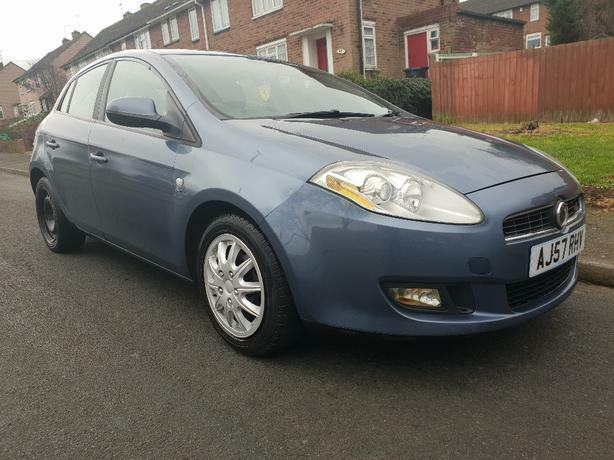 For sale is my 2008 (57) fiat bravo 1.4 turbo 150bhp, its in great condition inside and out,starts first time hot or cold, drives great with no knocks or bangs, starts drives and stops as it should, no water or oil leakes, no overheating or head gasket issues, engine clutch and gearbox are spot on, part service history, hpi clear,got green slip mot sheet and owners manuals. Just had new clutch, slave cylinder, sump gasket new coolent pipes, oil and filter change.